Pest Expert Formula 'C' is a fast-acting insecticide that that can be applied to carpets and soft furnishings, killing carpet beetles on contact and leaving behind an insecticidal residue that is effective for up to 12 weeks for long-lasting control. Pest Expert Formula 'C' is a water-based product that is both low-odour and solvent free, so it is safe to use in households with animals and/or young children as long as directions for use are followed and they are kept out of the treated area until surfaces are dry (approx 3 hours). Formula 'C' should not damage any items that would not be damaged by water, although we recommend it is used with caution on particularly delicate fabrics. Formula 'C' contains the active ingredient cypermethrin at 0.1% w/v (1g/litre). Cypermethrin is a broad spectrum professional-strength insecticide manufactured for the control of most flying and crawling insect pests including moths, ants, cockroaches, fleas, and flies. This 5Ltr Formula 'C' container will typically provide effective coverage to an area of around 125 sq mtrs in a single application! This is double the area covered by cheap soluble sachets offered elsewhere, thus providing better value for money and avoiding the fuss of having to re-treat. 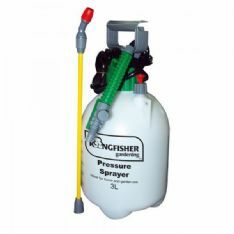 When treating a large area, we recommend the use of one of our pressure sprayers, which will allow an even distribution of the spray and help you achieve a thorough, professional application. Heavy carpet moth infestations may require a second treatment. To carry out a carpet beetle treatment using Formula 'C', lightly spray the carpet, applying more product to specific areas of damage. A heavier application should also be administered around the edges of the room, which should save you the trouble of having to lift and treat beneath the edges of the carpet. Leave the room and allow around 3-4 hours for surfaces to dry before returning. Avoid vacuuming for as long as possible after treatment as this will remove the insecticidal residue and reduce efficacy.